Flip a coin. 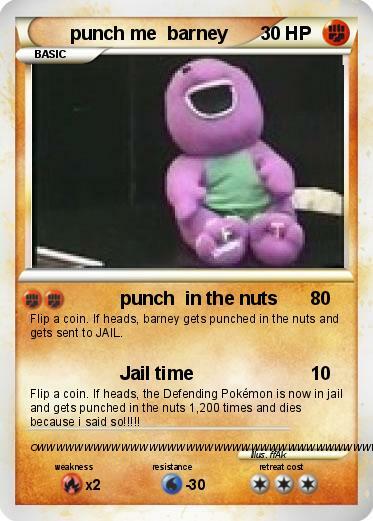 If heads, barney gets punched in the nuts and gets sent to JAIL. Flip a coin. If heads, the Defending Pokémon is now in jail and gets punched in the nuts 1,200 times and dies because i said so!!!! !